The Mag-Tag is a super slim, lightweight knife from John Kubasek. 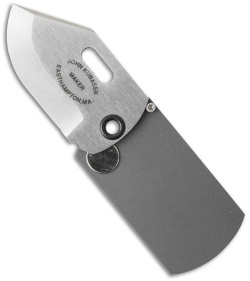 It has a folding stainless steel clip point blade. 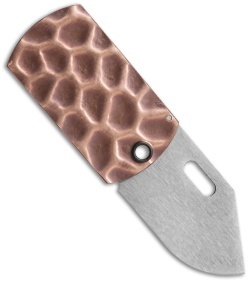 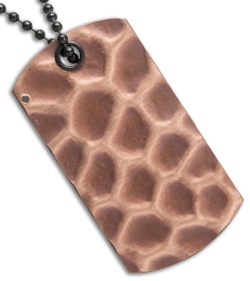 The handle is hammered copper over bead blasted titanium with a rare earth magnet to "lock" the blade open. This is a really unique folding dog tag knife that you'll be proud to carry. 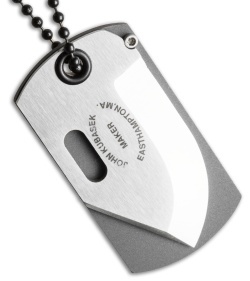 Includes a 30" chain and clip.